Disclosure, Sam Smith, Slick Rick, Eric B. & Rakim, UMCs and Andy, Horace. 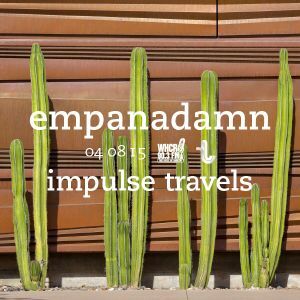 Here&apos;s another Empanadamn Impulse Mix of Soul, Hip-Hop, Future Bass, and more from Impulse Travels radio, which airs weekly on WHCR 90.3fm Harlem and L.A.&apos;s Traklife Radio. This was recorded live at Impulse Travels radio on WHCR 90.3fm in Harlem, NYC (simulcast on Traklife Radio out of downtown L.A.) on 04 august 2015.
phoenix cactus. university of arizona. phoenix. | by john o&apos;sullivan.